I'd like to do an AMA too, I guess. Ask me anything. I’m 20 and live in New Hampshire and these are my cars. I just finished fighting with a band clamp holding the intercooler on the Saab. 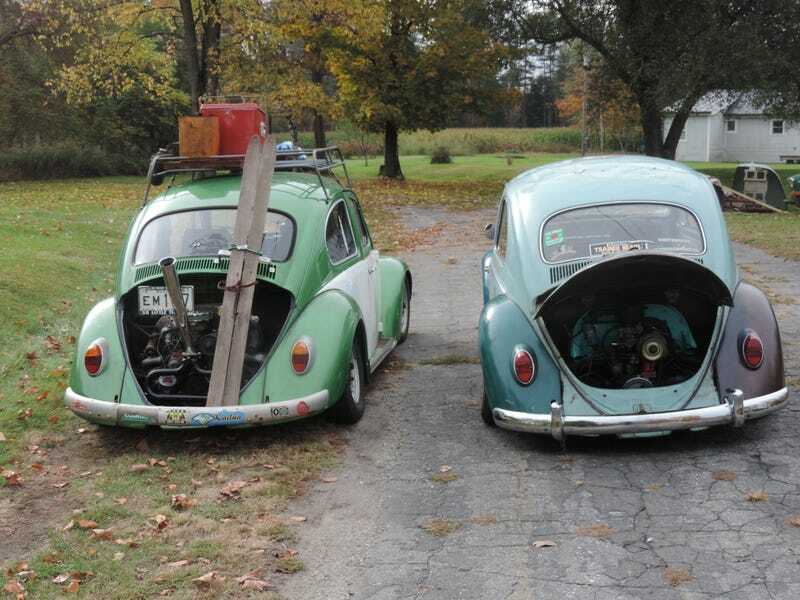 Two Beetles (‘67 and ‘61 respective to the above photo), ‘88 Mercedes 300SE, ‘94 Ranger, ‘97 Saab 900SE, and ‘14 Focus ST. Pictures of those below. 1988 Mercedes, Oskar. More senior Oppos might be surprised to find I still have this. After I replace the battery it should be getting traded for an ‘84 Nissan 200SX.